"CompanionLink(R) Software announces two-way synchronization with all Windows(R) Phone 7 devices. Sync contacts, calendar, and tasks from Microsoft(R) Outlook(R), Outlook Business Contact Manager, Sage ACT!, IBM(R) Lotus Notes, Novell(R) GroupWise, or Palm(R) Desktop with the latest Windows Phone 7 devices, including Samsung(R) Focus(TM), HTC(R) Surround(TM), HTC HD7(TM), LG(R) Quantum(TM), and Dell(R) Venue Pro(TM)." If you need to sync your contacts, calendar and/or tasks from the software applications listed above, then the CompanionLink Software may just fit the bill. 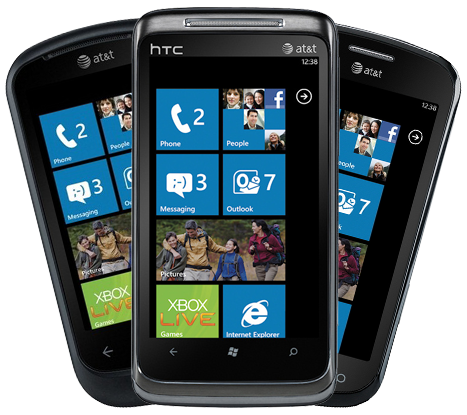 Supporting a variety of Windows Phone 7 devices, the software syncs your PC with Windows Phone 7 via any Google, Gmail, or Google Apps Premier account. CompanionLink installs on the PC and syncs calendar, contacts and tasks to your Google/Gmail account. Google then syncs with Windows Phone 7 devices using the Exchange ActiveSync protocol provided by their Google Sync service. Two-way sync is fully supported so changes made on the phone will sync back to the PC. The Read link will speed you on over to the CompanionLink website for more details, including pricing information. Wow, this very well be the "missing link" I was waiting for. And it includes Tasks. I actually used Companion Link with ACT for a few years with many of my early PocketPC's. It was always a very dependable product. Hmmm, after further investigation, Companion Link will not sync the notes due to a lack of support for this feature from Google. Thats a deal-breaker for me. However, Comanion Link notes that they are looking for an alternative solution to this.